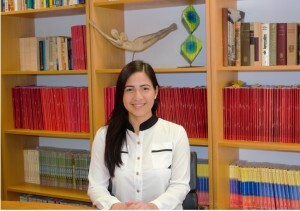 Nahomy Y. Estrada P. (Caracas, 1990). – Santa Maria University – Specialist in Commercial Law (currently in the thesis stage). – Santa Maria University – (lawyer – 2013). – Junior Lawyer in the Credit Documentation Management of the Agricultural Banking of BANESCO Universal Bank (March, 2018 – December, 2018). – Specialist in law for the National Parks Institute (INPARQUES) (2016-2017). – Lawyer in the area of Sustainability in the Ministry of Tourism (MINTUR) (2015-2016). – Substitute Lawyer in the 16th AMC Prosecutor’s Office on Common Crimes (2015). – Substitute Legal Assistant in the 108th Prosecutor’s Office for Children and Adolescents. (2013-2014). – VIII National Congress of Labor Law Jurisprudence (2011). – VI International Congress of Forensic Science and Criminal Investigation (2010). – I have focused my professional practice in Commercial, Environmental, Criminal, Corporate and Banking law areas. – Bar Association of the Capital District. – Lawyer’s Social Security Institute. – English (Currently coursing in the Modern Languages School ACEIM – FUNDEIM Since 2017).